Now you can enjoy 7 casino games in 1 sweet package. 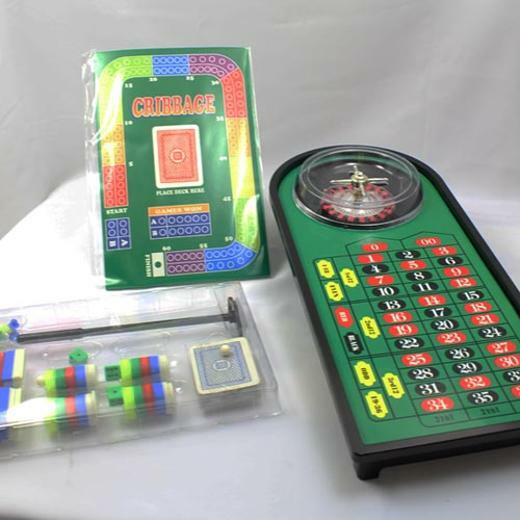 Includes cards, roulette, cribbage, baccarat, sic bo, blackjack 21 and craps all in one box! Hours and hours of endless fun! This lightweight, compact toy is great for packing on vacation for long car, bus, train or plane rides.